Raised in a Catholic home, Susan accepted Jesus as her Lord and Savior at 18 years of age and shortly thereafter, entered into full time ministry with her husband, Randy. Susan has been in ministry over 40 years, having spent 20 years in the pastorate. Sheand Randy were pastors of several churches on the East Coast of the US, and often filled in as interim pastors for several churches that were experiencing leadership changes. Having a strong desire to see Christians not only begin their walk with the Lord, but finish it strong and victorious, the focus of her teaching and ministry is on Christian maturity, leadership and strengthening the body of Christ. Susan communicates these truths from the Word of God with humor and personal examples. Her ability to encourage believers to live as overcomers through the daily challenges of life is both energizing and refreshing. 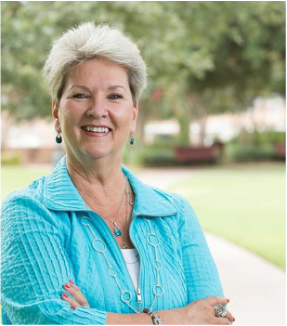 Besides traveling throughout the US and overseas, Susan also serves as an adjunct instructor at Christ for the Nations Institute in Dallas, Texas. Susan is currently the President of World Missions Advance which is a non-profit 501(c)3 that exists to provide administrative and spiritual support to both domestic and international missionaries and Christian organizations. WMA's vision is to lift up the arms of those on the front lines of missions all over the world. She has a Master of Practical Theology Degree from King's Seminary in Van Nuys, CA. Freda Lindsay, Co-founder of Christ For The Nations in Dallas, Texas was quoted as saying, "Susan is a woman I greatly admire. She is strong, gentle, anointed, a lovely wife and exemplary mother."